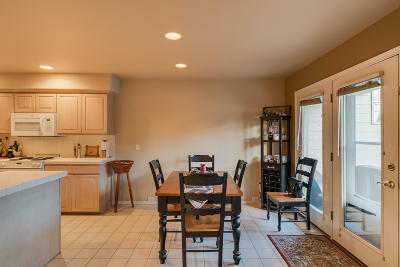 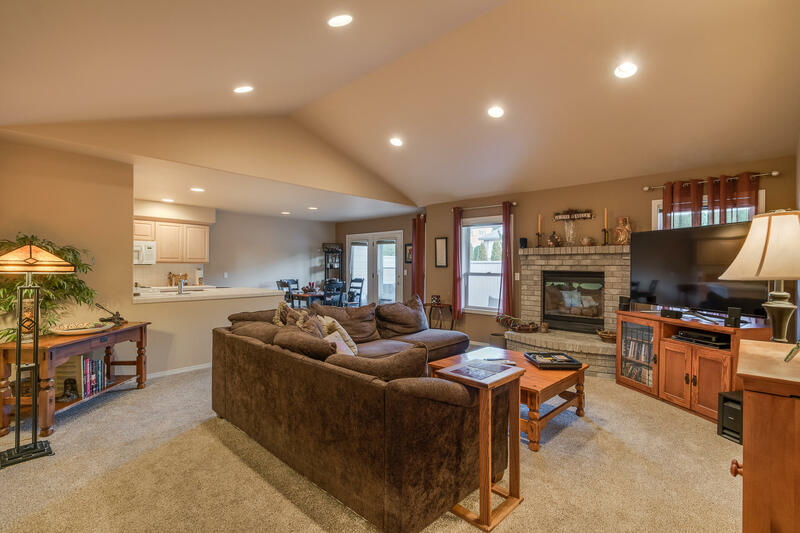 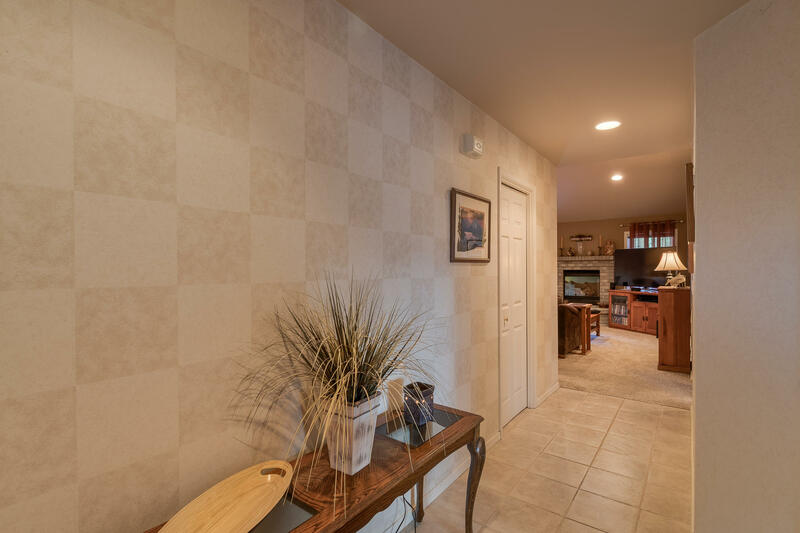 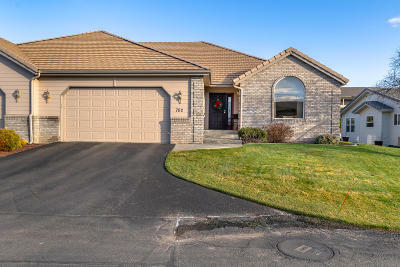 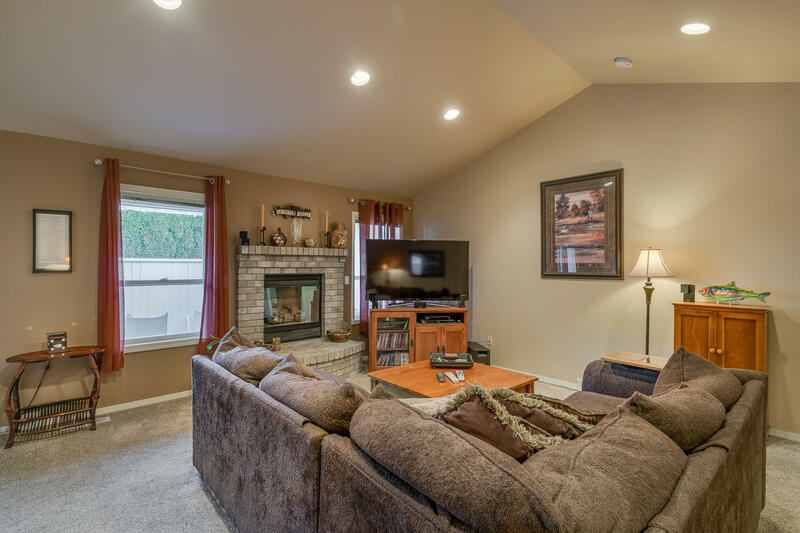 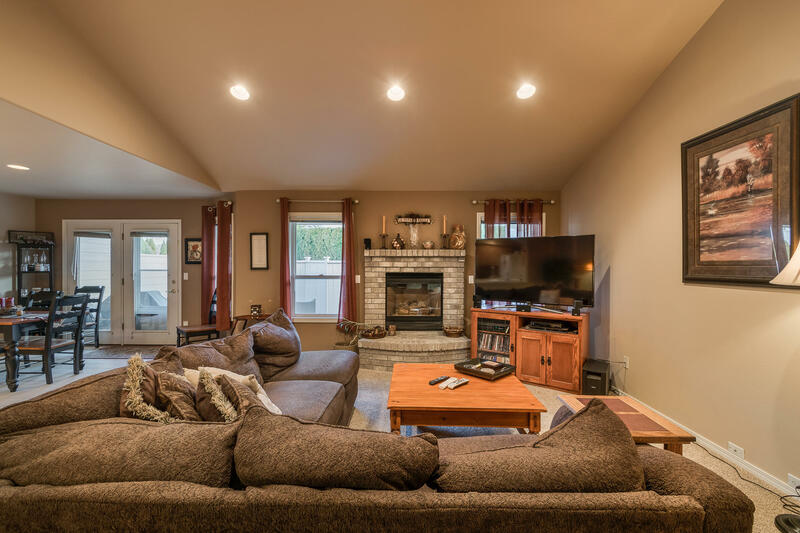 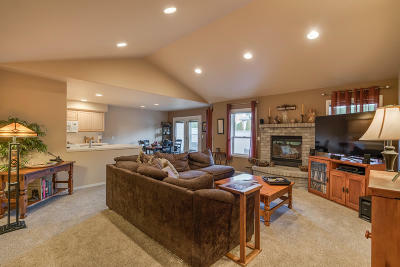 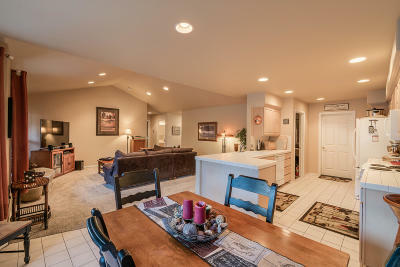 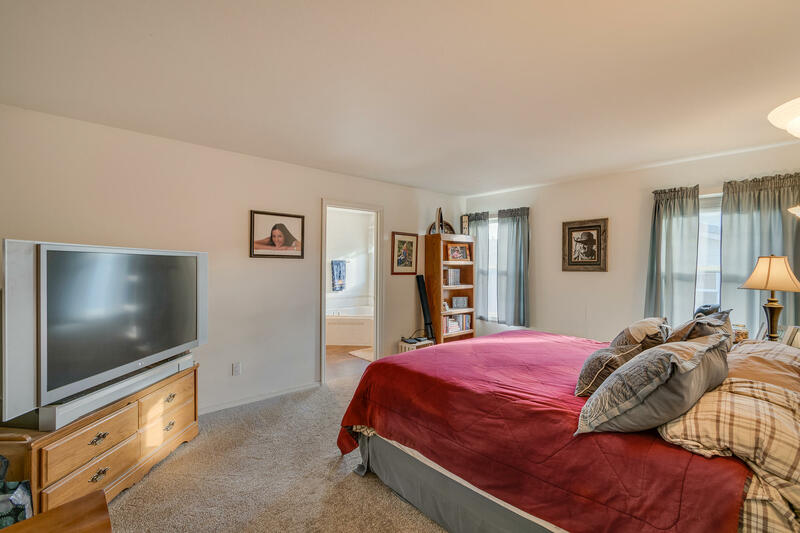 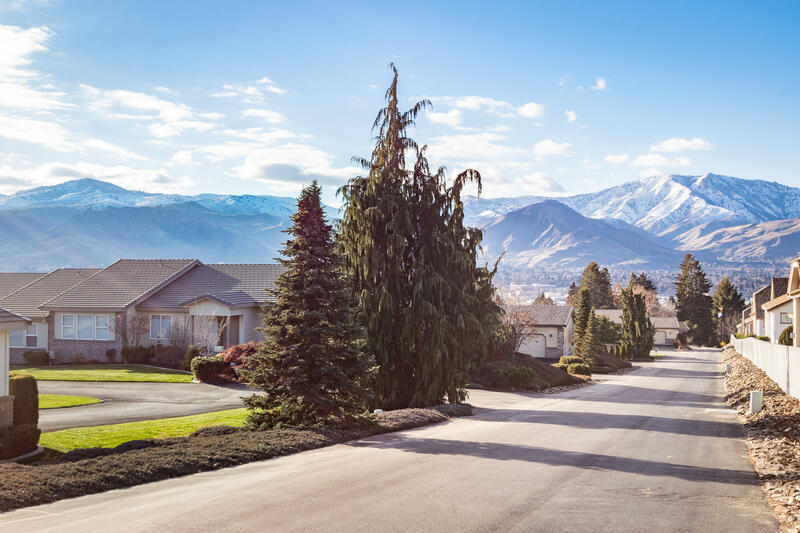 Condo with open floor plan, fireplace & vaulted ceilings.Two bedrooms plus a den. 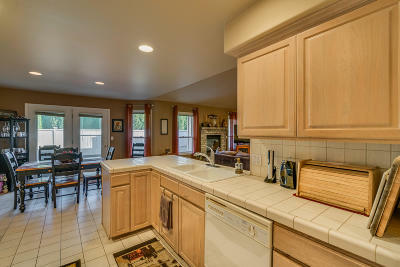 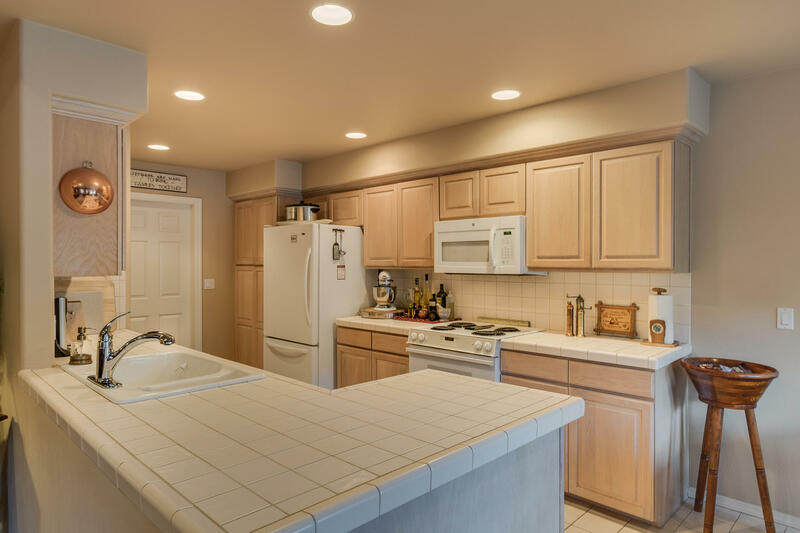 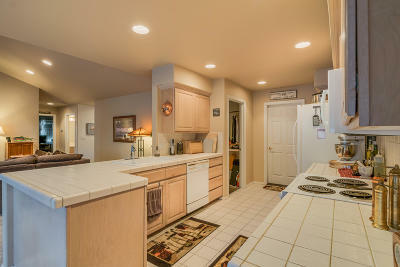 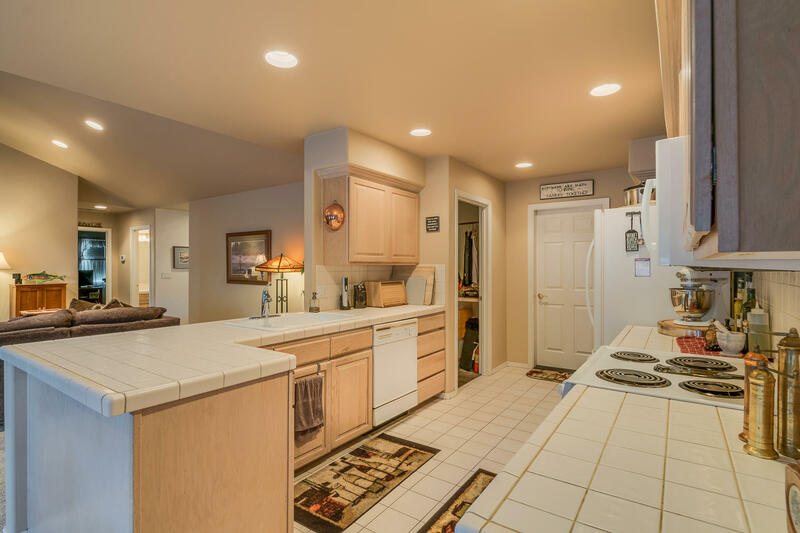 Large kitchen with tile counters. 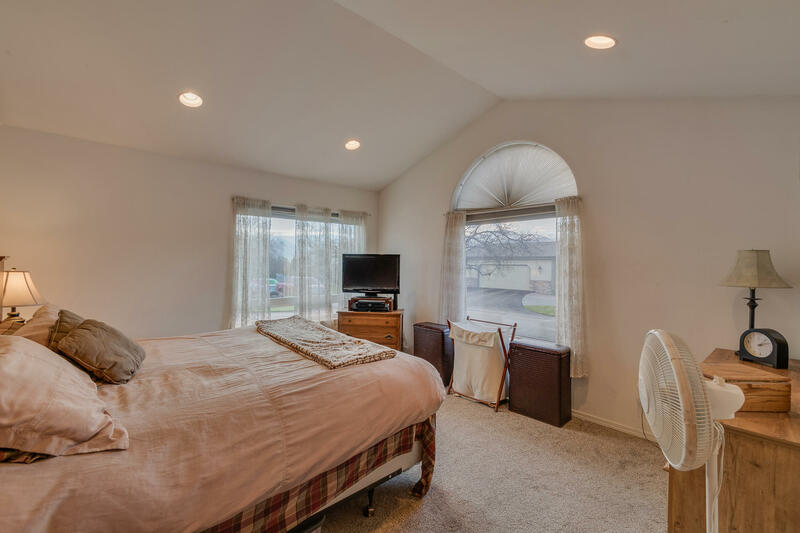 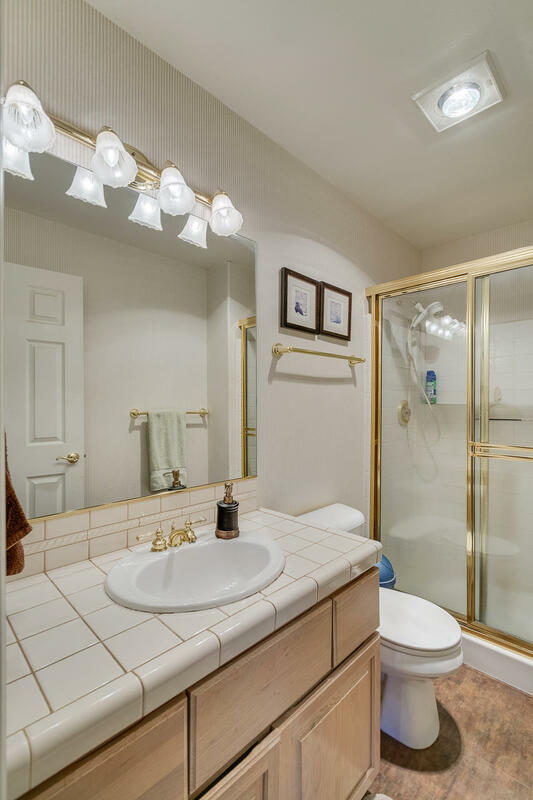 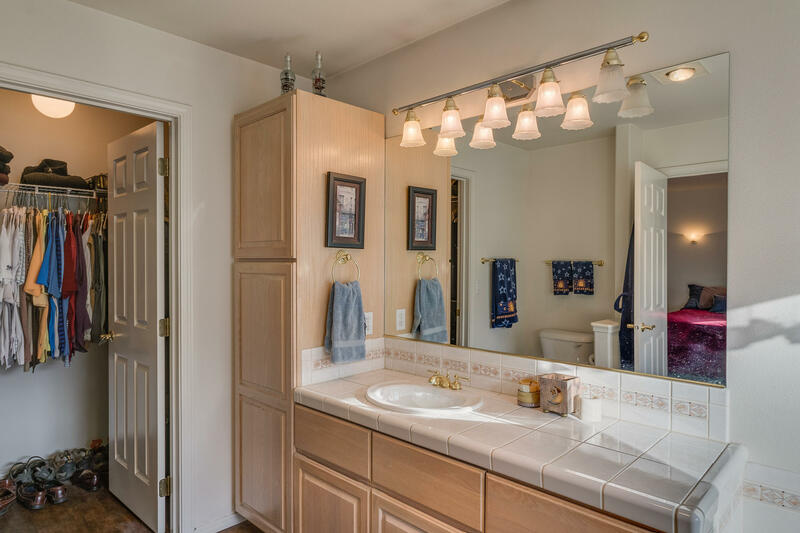 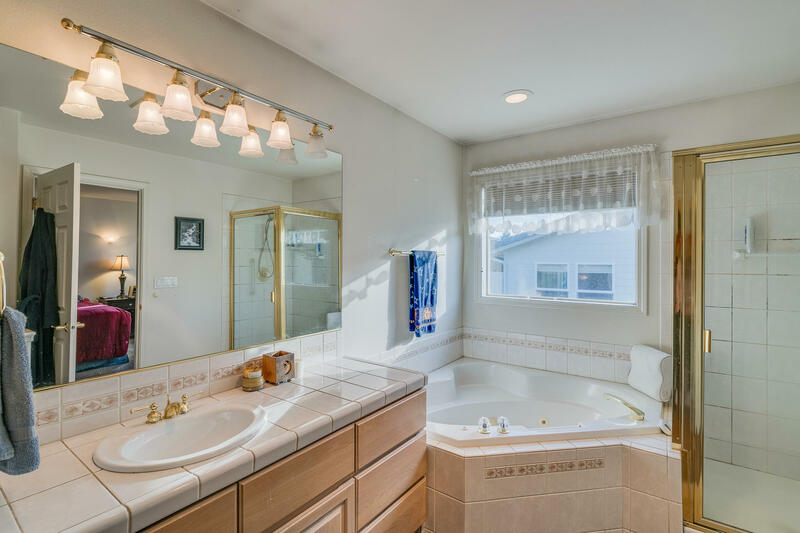 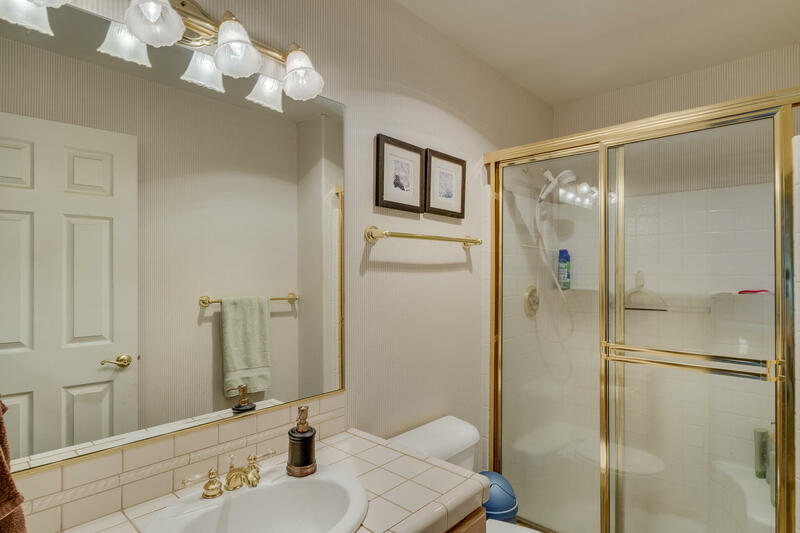 Master bedroom features jetted tub and shower, double sinks. 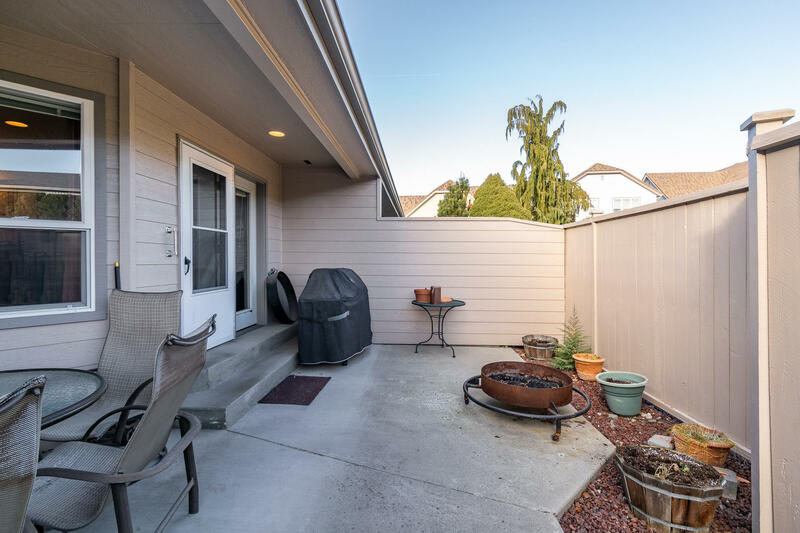 Single level condo with no one above or below you, private patio surrounded by grassy lawn area. 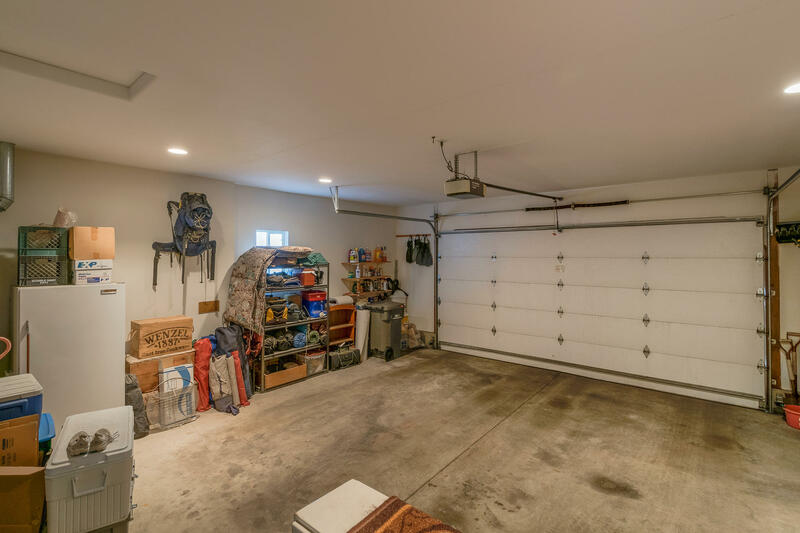 Double car garage. 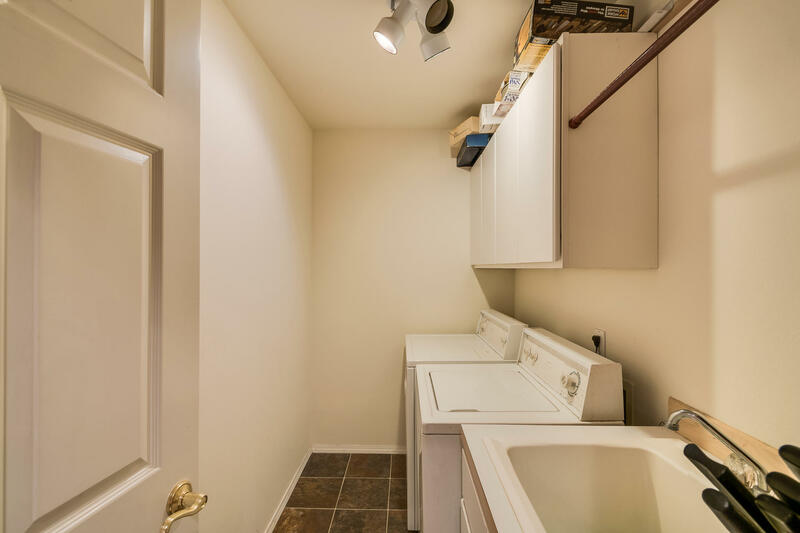 Laundry room with sink and upper cabinets.